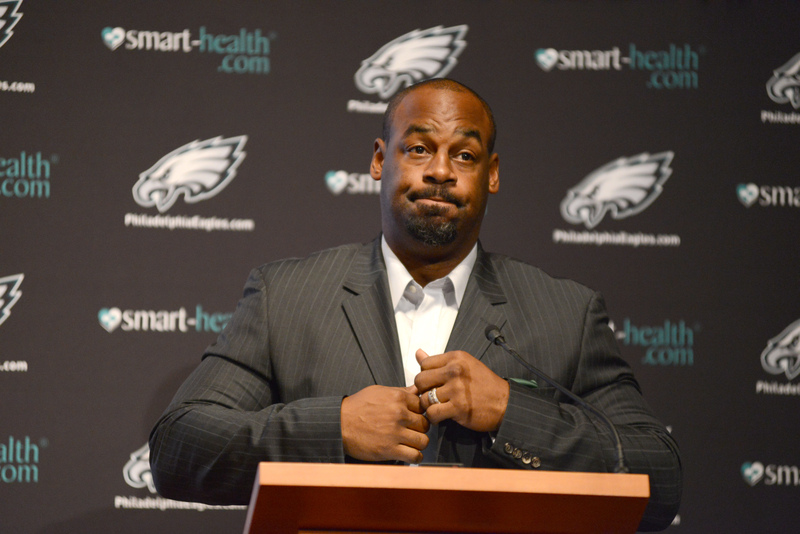 Former Eagle quarterback Donovan McNabb officially retired from the NFL during a press conference at the NovaCare Complex Monday. With words of praise and adulation coming from the likes of owner Jeffrey Laurie and former safety Brian Dawkins and former running back Brian Westbrook prior to his speech, Mcnabb took to the podium humbled fashion. 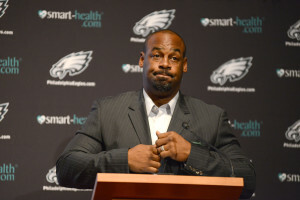 What follows are some comments from McNabb that occurred during and after the announcement, which was preceded by a series of highlights from his career in Philadelphia – a career that saw him set most of the franchise’s QB records. Donovan McNabb retires an Eagle.